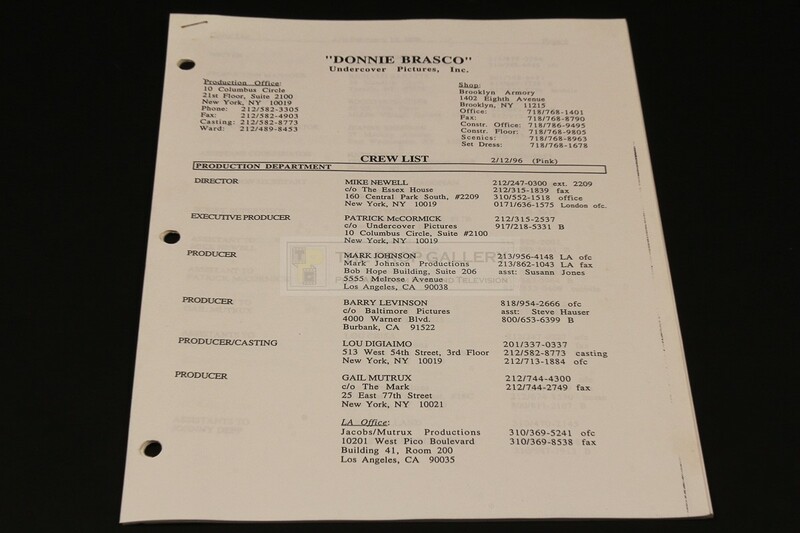 An original crew list from the production of Donnie Brasco, the 1997 crime picture starring Johnny Depp and Al Pacino. 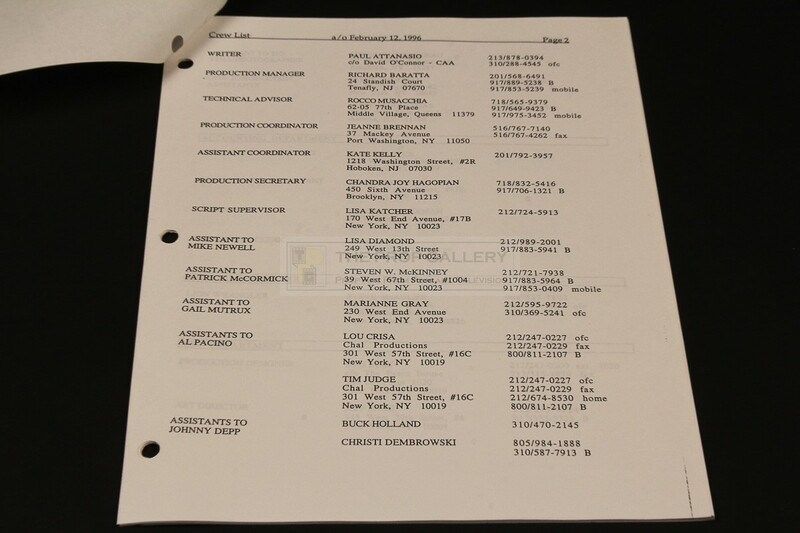 This list was issued crew members during the production of the movie and comprises of 14 pages which list the various crew members and their positions in addition to address and contact details. 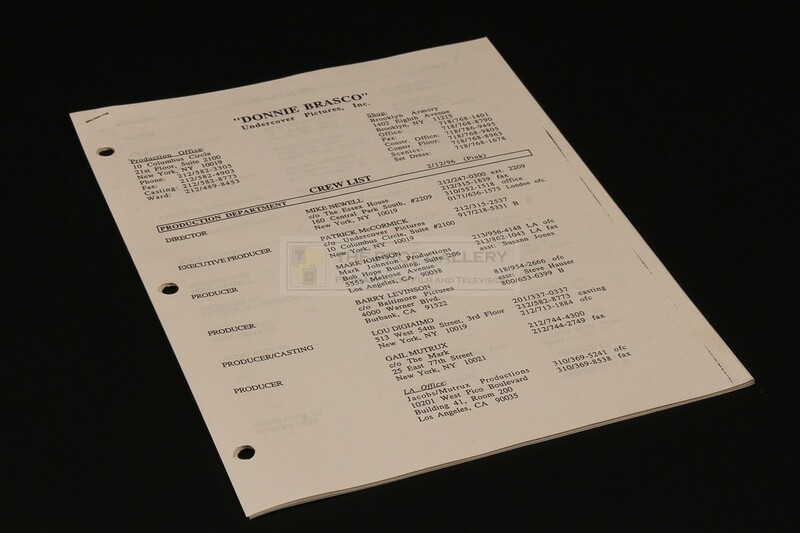 The document is bound by a staple to the top left corner and is dated February 12th 1996, it remains in near perfect original condition, very fine. A rare production artefact from this highly regarded classic of the gangster genre.